In a world where many feel technology is minimizing the importance of personal interaction, Riviera Country Club is a throw-back to a time when relationships ruled the day. Riviera delivers on many counts - the condition of the course, the experience delivered, and the value it offers, providing club members and visiting groups with equal amounts of hospitality. Why is there is such emphasis on the relationship between the course and the golfers who play there? Primarily because the owners and staff take equal amounts of pride in the quality of the experience provided. Riviera Country Club opened as a nine-hole layout in 1930s and was purchased by the Meyers family in 1953. 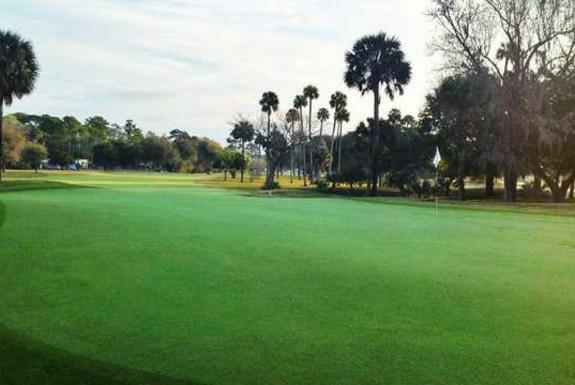 The Meyers family added the final nine holes and they continue to own and operate the property, setting the tone for the course with their willingness to perform everything from office tasks to manual labor. That willingness to work hard permeates throughout the staff at Riviera, where head pro Mike Boss has worked at the club since 1978, his assistant Tyler Smith has worked there for more than 15 years, and teaching pro Donnie Clem has been on staff for 20+ years. The continuity has bred pride in a facility that always provides golfers an enjoyable and value-packed experience. The relative lack of length doesn’t mean the layout is without defense, particularly on the back nine which features a pair of 400+ yard par 4s from the white tees (6,004 yards). Riviera strikes a perfect balance between playability and challenge.